Hot Deal! Amazon has a Hawaiian Plumeria Flower Necklace for $0.01! Wow! 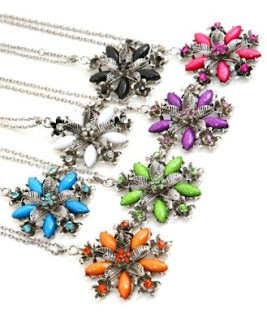 With shipping this necklace is $6.96, which is still an incredible deal!It is available in Black, Green, Orange, Pink, Purple, Turquoise, or White. So many colors to choose from! What will you choose? Pendant Size 2x2" Chain Length 24"